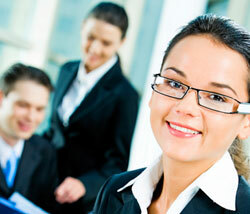 Register your job-seeking profile to take up your preferred camp job..! Fill up the following columns and upload your resume. Dear Job seeker, register to post your resume by filling up the form on the left side. After filling up the form by providing your personal information and job preferences, you can add the details of your educational qualifications and professional experience. You can also upload your resume at the end. After uploading your resume,you can directly view your profile. If you want to see the recruiter's view of your profile, click the Recruiters Preview link provided on left side of the top of the page. You will be able to know the view of the camp directors on how they evaluate your resume and what percentage points your resume obtains in their evaluation. The chances of getting your preferred job depend on the percentage points you get from the camp directors for your resume / profile. You can get higher percentage points for your resume in the evaluation by camp directors by giving in more particulars and keeping it updated periodically.